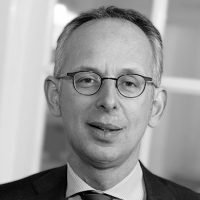 Mark Bovens is a professor at the Utrecht University School of Governance in the Netherlands. He studied law, political science, and philosophy at Leiden University and at Columbia University Law School in New York. He has published more than twenty monographs and edited volumes in the area of politics, government, and public policy. Some of his recent books are: Mark Bovens & Anchrit Wille, Diploma Democracy: The Rise of Political Meritocracy (Oxford: OUP 2017) and Mark Bovens, Robert Goodin & Thomas Schillemans (eds. ),The Oxford Handbook of Public Accountability, (Oxford: OUP 2014).